Chipped teeth and teeth that have enamel destroyed exposing the dentin below will allow bacteria access to the dentin. Dentin looks like enamel but has multiple canals that lead to the pulp. 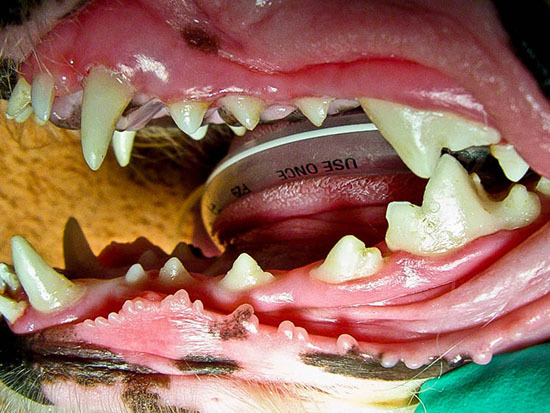 Teeth where dentin is exposed in pets often results in tooth death. 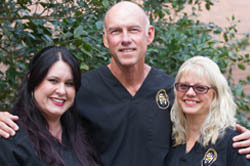 Sealing the dentin is paramount in preventing this from occurring. 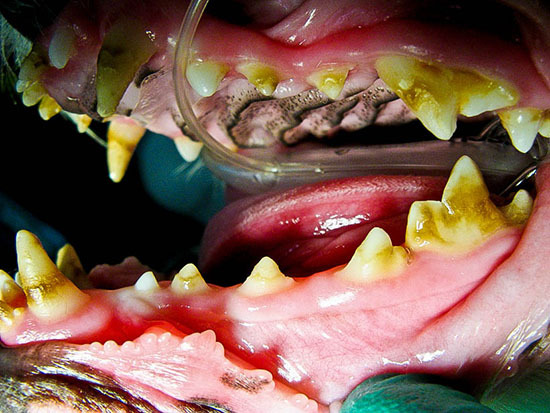 Although pets rarely get true caries or cavities leaving the dentin exposed is like leaving a cavity untreated..
Cosmetics is not the goal of restorations in dogs and cats. Sealing the dentin so no bacteria can enter however, is the treatment. The cosmetic benefit is desirable but not the primary goal. Here a patient had enamel hypoplasia or enamel hypocalcification exposing and in places discoloring the dentin. Following removal of the diseased dentin and enamel restorations seal the dentin and eliminate further bacteria from entering the tooth. X-rays must be taken in 6-12 months to confirm that the tooth was not in the process of dying when the original x-rays and restorations were performed.